The Bible teaches that people of all nations are made in God’s image and equal in Jesus Christ. While there have been in certain eras racists who quoted the Bible out of context to support their views, it was clear to other Christians even then that racism is contrary to the Bible, which does not even speak of human beings as belonging to different races (let alone divide people based on skin color). 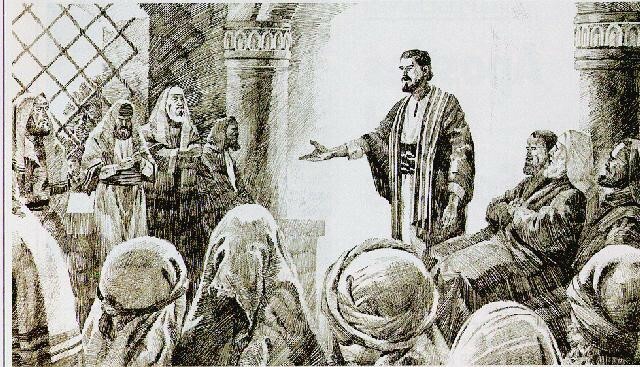 In the New Testament, the gospel was opened up by the Jewish apostles to Gentiles within a mere fifteen years or so after Christ’s resurrection. (The exclusion of Gentiles prior to that time was based on Jewish ritual observance, not race.) Paul’s statement that in Christ “there is neither Jew nor Greek’ (Galatians 3:28) epitomizes the New Testament’s attitude toward race. In the eighteenth and nineteenth centuries, many evangelical Christians were at the forefront of efforts in both England and the United States to abolish slavery based on their belief in the Bible’s teachings. By contrast, the Mormon scriptures contain racist ideas, and some of the prophets of the LDS Church have clearly taught racist doctrines. From the early 1850s until 1978, the LDS Church taught that blacks could not receive its priesthood because they were under a divine curse. This policy kept blacks from leadership positions and from participating in temple rituals said to be necessary for eternal life. 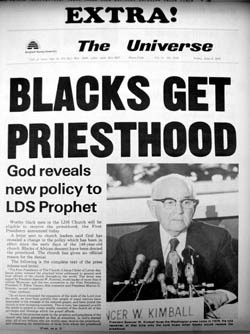 Then in 1978, due to heavy social pressure a decade after the civil rights movement in America, the LDS Church officially ended its ban on ordaining blacks to the priesthood without any explanation concerning the supposed curse. In 2013, the LDS Church officially rejected the idea that blacks were under a curse and claimed that the exclusion of blacks from the priesthood originated with Brigham Young and was based not on revelation but on Young’s own culturally derived racist beliefs. In fact, Young derived the idea from Mormon scriptures produced by Joseph Smith, which taught both the exclusion and the basis for it in the curse supposedly placed on the line of Ham (or Cain). The LDS Church’s less than forthright, leading-from-behind handling of this issue throughout its history reveals that its leaders have not been genuine prophets of God. On the racist scriptures and history of Mormonism, see our webpage on Mormonism, race and priesthood.